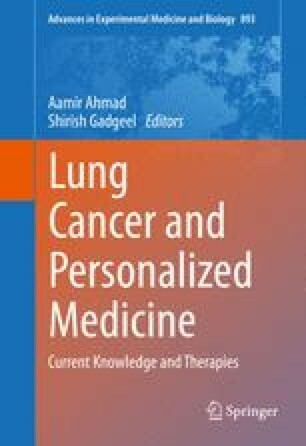 Resistance to epidermal growth factor receptor (EGFR) tyrosine kinase inhibitors (TKIs) in non small cell lung cancer (NSCLC) is mediated by two major mechanisms namely secondary mutation T790M in EGFR and cMET amplification. Other molecular mediators which contribute towards TKI resistance include the activation of compensatory growth signaling, epithelial mesenchymal transition and microRNAs regulating EGFR and cMET levels. In this chapter, we have included the major mechanisms which contribute towards EGFR TKI resistance in NSCLC. Several therapeutic approaches to overcome TKI resistance are also presented which include second and third generation EGFR TKI inhibitors and cMET inhibitors. Further, the rationale to utilize the combination therapies to simultaneously target EGFR and other major oncogene addictive pathway such as ERBB2 and AXL kinase is outlined. Another promising approach to overcome TKI resistance is to potentiate EGFR protein for degradation. These studies will best be utilized when we can identify the oncogene addictions in an individual patient and tailor the therapy/therapies accordingly for the maximum benefits.